This illustration shows the layout of the port of Eastport, from which Phyto-Charter hopes to ship low-quality wood chips to Europe. 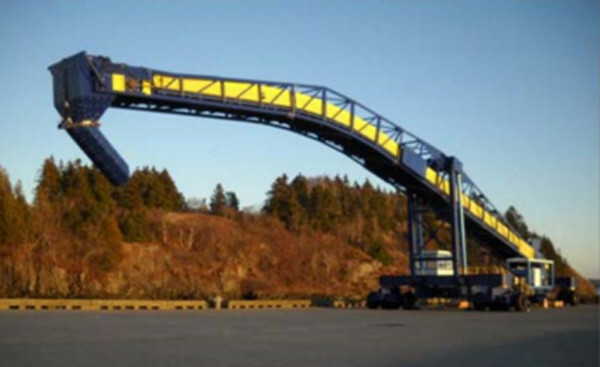 A large piece of equipment that looks like a crane is part of a Port of Eastport system for lading ships. 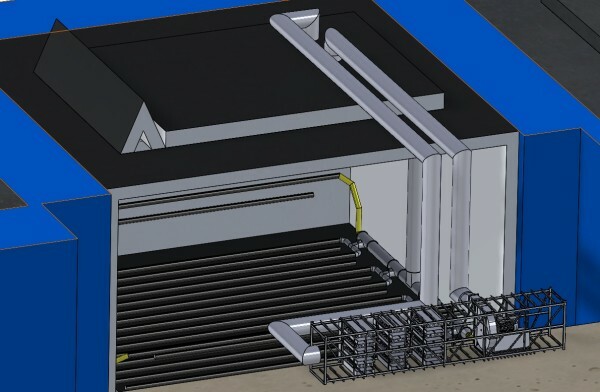 This rendering shows Phyto-Charter's shipboard heat treatment system. The Eastport company plans to use it to meet regulations for exporting low-quality wood chips to Europe. EASTPORT, Maine — An Eastport firm’s efforts will create a new market for low-grade fiber that will help the entire wood pulp industry in Maine, a company official says. Stephean Chute, managing director of Phyto-Charter Inc., said the firm plans to export cull — waste wood unsuitable for paper and pulp mills in Maine — to Europe, where the wood fiber will be used for heating and generating electricity. No such market for low-grade wood chips exists in Maine or the United States, he said. The company plans to host a meeting Dec. 22 at 141 Water St. in Eastport to present information on its patented system, which is designed to rid wood chips of pathogens and pests so they meet import regulations imposed by the European Union, he said. Loggers, pulp and paper mill representatives and county officials are among those invited to the meeting, he said. The company will solicit input from meeting attendees as well as do a presentation, he said. The Phyto-Charter Shipboard Heat Treating System is designed to work on board a ship while it is in dock. An airtight chamber is created in the ship’s hold, where moisture-laden air is recirculated until the humidity level inside the chamber reaches 100 percent. The humidity level must be maintained for 30 minutes and, during this process, chips are heated to 60 degrees Celsius (140 degrees Fahrenheit), he said. Wood products have not been exported to Europe since the European Union enacted its current regulations in 2000, he said. Phyto-Charter’s system is the first since then that meets regulations for treating wood chips for sending them to Europe, Chute said. In late 2014, Phyto-Charter shipped to Ireland samples of treated wood chips that were certified by the U.S. Department of Agriculture as being treated according to the European standards, he said. The USDA will continue to monitor and certify shipments when the company officially starts up its export operations. Countries in the European Union have developed what Chute called an “aggressive” strategy to cut greenhouse gas emissions by 20 percent and have 20 percent of its energy needs met by renewable sources by 2020. “Europe has adopted a very aggressive set of incentives for switching to renewables,” Chute said, adding that wood chips are considered renewables. Phyto-Charter is “part of the solution” in Europe, he said. Chute declined to say exactly who his customers were or whether he has contracts in place. He said the wood supply mostly would come from harvesters in Maine, though some may also come from pulp and paper mills. Those who work loading vessels at the port of Eastport also will experience greater job security, he said. Chris Gardner, executive director of the Eastport Port Authority, said he is “happy” to see Phyto-Charter making progress in its work. He said the port authority has been working with Phyto-Charter since 2009. “What we are doing is putting Eastport in a position to show we can be of great assistance to the pulp and paper industry,” Gardner said. 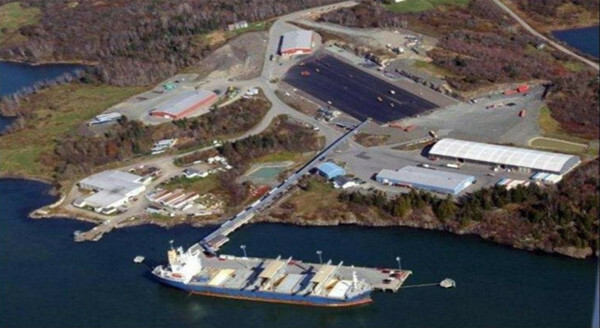 Phyto-Charter also plans to ship out of Eastport because the port authority invested in a bulk cargo conveyor system to assist with loading ships. The project was part of a port expansion in 2010 and 2011. The state kicked in a $4.5 million transportation grant and $2.25 million came from the federal government, Gardner said. The port authority put up the rest of the total expansion cost, which he said Thursday was between $8 million and $10 million. Phyto-Charter will run the ship loading system at the port, he said. A paved pad will house the chips waiting for shipment, he said, adding they won’t be there long enough to rot. No indoor storage facilities will be constructed, he said. Chute said his company has received “public and private support” but would not comment further on its financing. No additional shipments have been made since the samples were first sent in 2014 because of development issues. He did not elaborate on those issues and would not say when the company planned to send its next shipment. Gardner was a little bit more specific. “We’re pretty confident that 2016 is finally going to see this off the ground,” he said.